Why Choose Whiting OEM Parts for Your Overhead Crane? Why Choose Whiting OEM Parts for Your Overhead Crane? 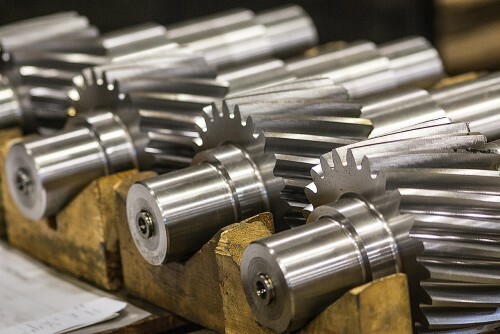 By choosing to purchase OEM parts from Whiting Corporation, you are assured of the proper mating of replacement parts and components that maintain the integrity of the repair and the overhead crane itself. Whiting Corporation assures the replacement parts are manufactured according to the original part drawing with the same high quality materials. All replacement parts include any available enhancements and improvements; so you receive the most modern version of your requested OEM part. Use of non-OEM parts can affect the performance and structural integrity of the crane, and could lead to crane malfunctions and failures according to CMAA Spec 78. Whiting Parts in conjunction with our sister company, Whiting Services, is your first-choice for equipment upgrades, performance enhancements and application changes. With 24/7 nationwide coverage, is ready to handle your inspections, repairs, and emergency breakdowns. When modernizing your Whiting crane, we are able to go back to the original drawings and engineering documents to redevelop or recommend design improvements to enhance the performance, reliability, and productivity of your overhead crane. Our experienced engineering team is able to break down the critical components that need attention before boosting performance and capacity, or significantly changing the application usage. Whiting Corporation offers state-of-the-art manufacturing capabilities, in-house re-engineering, warehouse and distribution facilities and critical-mass purchasing power gives us the ability to provide you with a full range of OEM parts for all of your Whiting overhead cranes and railcar maintenance equipment. Whiting is also the only company truly capable of providing original equipment parts and service for Conco Cranes, backed by full knowledge of the part specifications and materials. Whiting acquired exclusive possession all product drawings and schematics of Conco Cranes in 1985. For more about why you should choose OEM Parts, Check out section 78-5 of CMAA Spec 78. What Type of Equipment is This Part For?